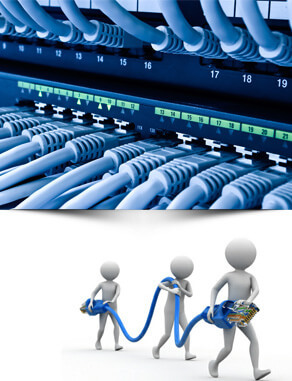 As a one-stop shop providing design, project management, installation, testing and maintenance, we take care of your structures cabling needs from start to finish. Data and voice cables (Cat3, 5, 5e, 6,6e,and 7). Data Center & Server Room Wire Management. Conduit and Wire Tray Implementations. Terminations of Cat 5, 5e, and 6 patch panels. Network Hub and switch installs. Voice, Video and Audio Cabling.